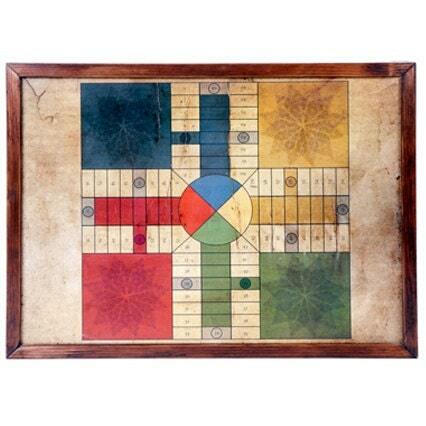 Ludo board with rustic and antique finish, hand made ​​by artisans in wood and decoupage. 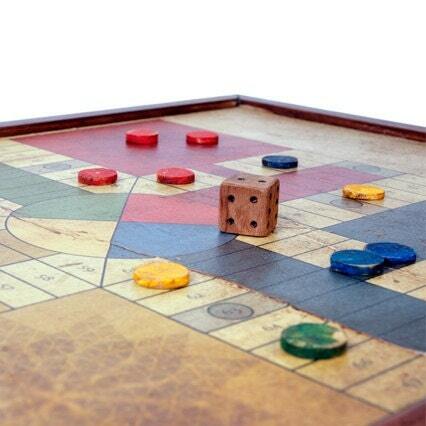 The pieces and the dices are also made in wood. 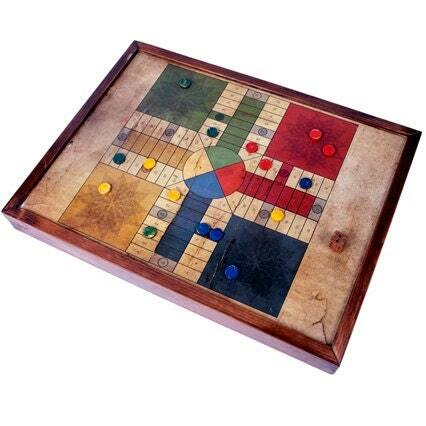 The board is designed so you can hang it on the wall like a picture. It also has a rear storage system to store the cards and instructions when not being played.